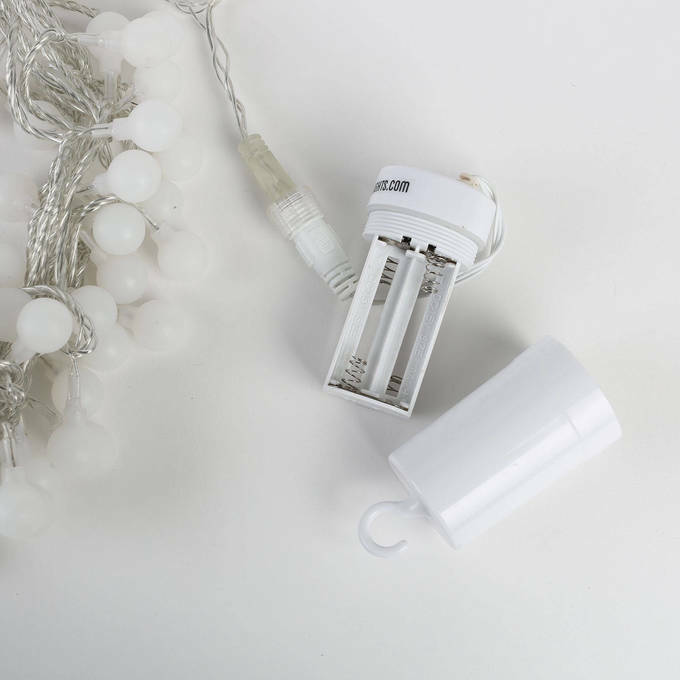 There are only 698 available of the Frosted Cool White Mini Globe Battery String Lights with Timer, Strand of 100. Your selected quantity has been adjusted. 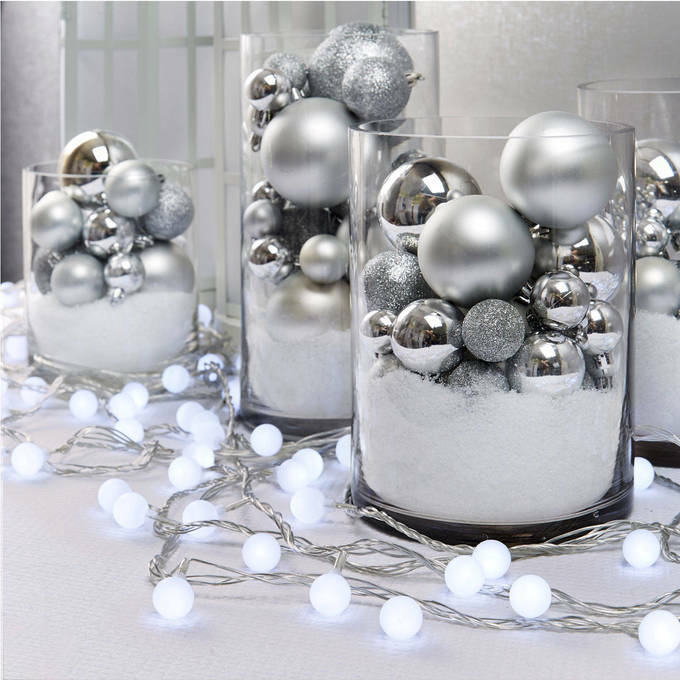 This 100 LED strand of frosted cool white globes is a perfect addition to any indoor or outdoor space. 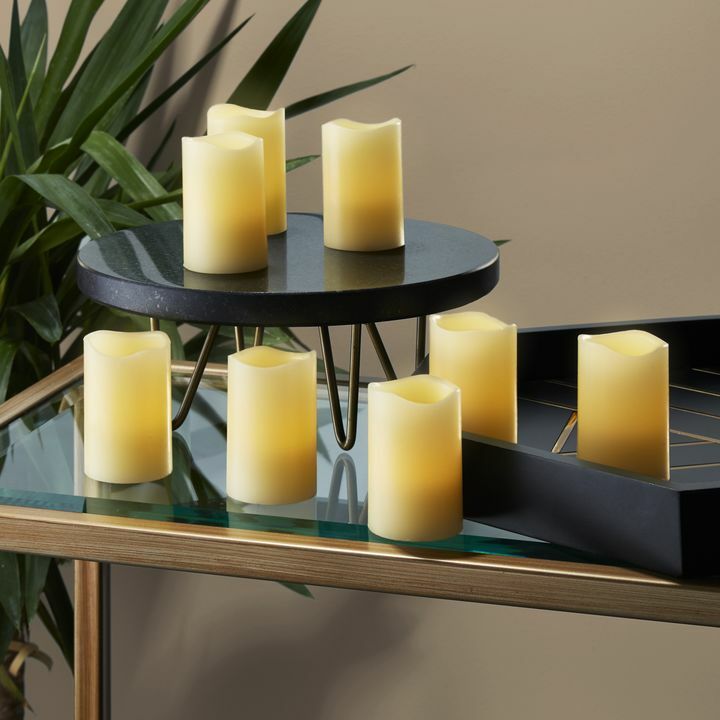 With its new extended length you can still connect up to 4 total strands to decorate any area from a small tree in your front yard, a larger dining hall, or an expansive backyard for a springy dinner party. These 100 LED strands and included battery box, help you to create a virtually wireless presentation anywhere in a snap! We had a outlet short out on our porch. No power. No holiday lights, or so we thought! Got 4 strands of these lights. WOW! TheyвЂ™re beautiful ! Bright shining sparkle! They work great even in the cold weather. I am a lighting connoisseur. I like warm lighting. These string lights are fantastic! Nice long strands that can be connected. All you have to do is string them up, pick one of the multi-functions, and they time themselves for six hours and then come back on 16 hours later. Love them! LOVE these lights! I chose the warm lights. I am using them for my balcony. They are so pretty! I like the several choices to display the lights, and the timer. Great price too! The only thing is when I was stringing them on the balcony, I was going so fast, a few of the little globes fell off. So just a suggestion, don't be like me and be in such a hurry. :-) But there were a few extra globes in the box. All in all, a fantastic purchase! Bought these lights to use as my daughter's wedding! They are perfect. We are using them in a large glass jar on the gift table! In fact, I just some other lights to string on some tree branches for decor in the entryway of the reception venue. The fact that they are battery operated gives them such versatility! Love these lights! It is my second string. Timer works great!!! Used cheap batteries but they lasted a long time. Plan to purchase more as the need arises. These lights are great looking and have livened up our patio. It's a treat to come home to a space that is nicely lit and these lights are attractive. However there are not that durable and the connections appear to be quite finicky. It took over an hour of fiddling with it to turn on and I am always nervous that they will not go back on after they turn off. For now I've left them up but not expecting them to last all that long and might go with more durable option next time. One of the little springs that contact the battery in the battery pack was missing. I had to call and ask for another string to be sent. 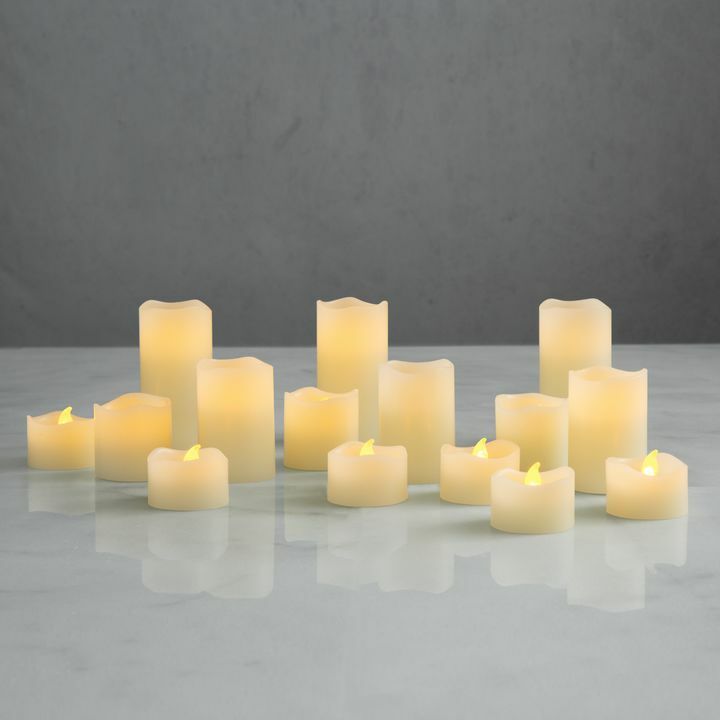 Unique lights, low price, great shipping. Already have people asking where I got them! I just got these and they are smaller than I imagined, but I really like them. They have multiple settings (which I didn't pay attention to when I bought them) and they put out nice light. I would recommend them. It is tricky to get them back the box they came in, so you will probably want to store them in something else if you are not going to keep them hung up all the time. I got these for an international trip...we rented a camper van and drove around NZ. These were absolutely perfect to string up in the van! They provided enough light to play card games at night and we really enjoyed all the different settings. The battery life seemed good, we used the lights every night for a few hours for 8 nights straight and never ran out of power, I'm not sure how long the batteries would last with continued use, but this strand does have an automatic timer feature that turns them off after a few hours, so that's a nice feature to save battery power! All in all a great purchase! 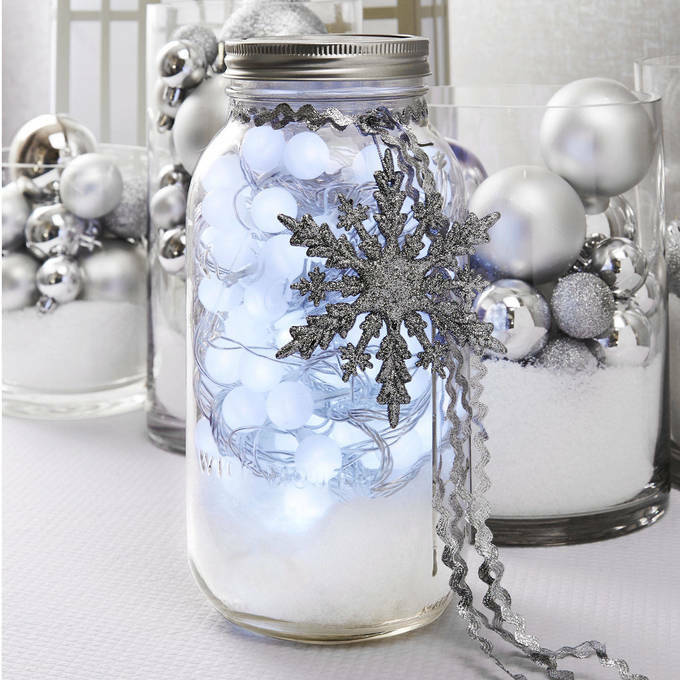 You can turn on the Frosted Mini Globe String lights by pressing the single button on the white batter box. The button is located next to where the cord inserts into the box. total light length in feet. 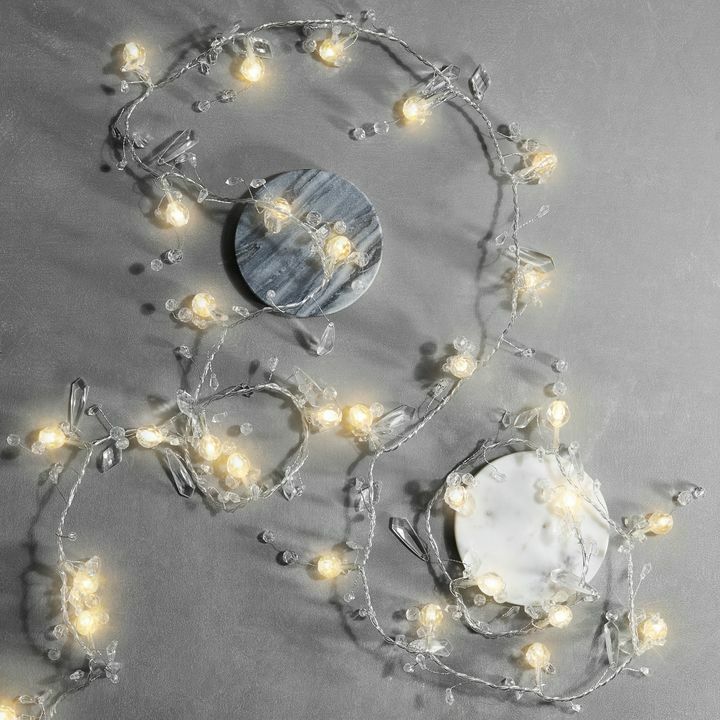 The total number of feet for the Frosted Cool White Mini Globe Battery String Lights with Timer, Strand of 100 would be 32.5 feet. How long is the actual cord? The string lights are 32.5 feet long. To answer your question, there is not actually much of a difference between the two string lights beside the length. They both carry the same features, they're both the exact same product but just in a different length. 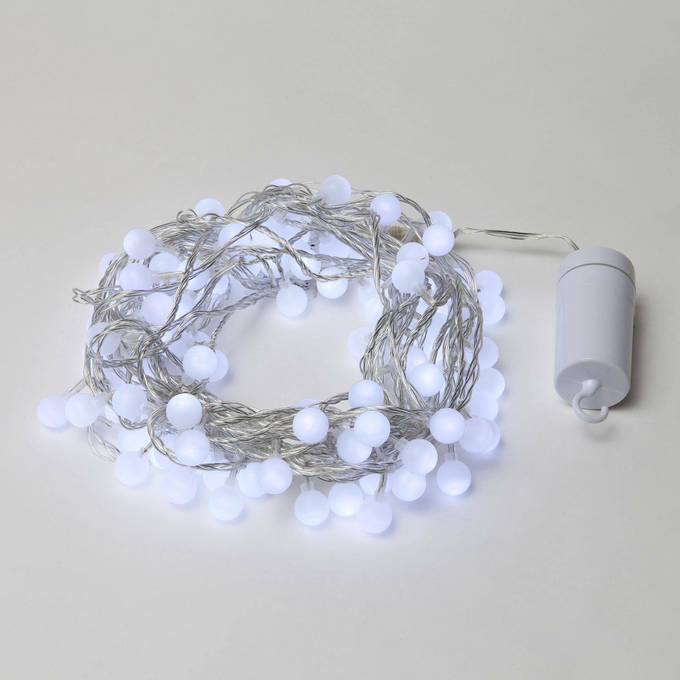 Frosted Cool White Globe String Lights with Timer, Strand of 100 Would these be sufficient to light up a buffet table under a 12x14 tent? It is for a wedding. If not, do you have a suggestion (battery operated). 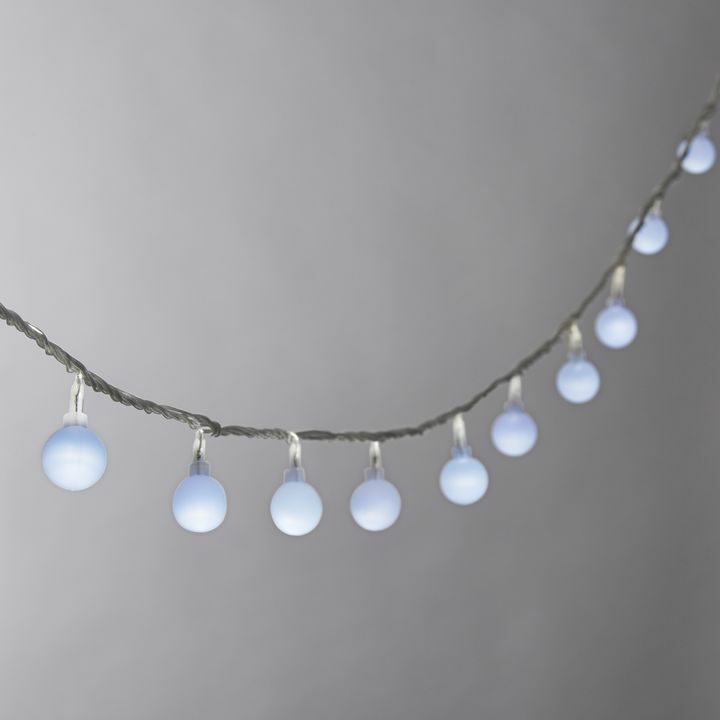 The Frosted Cool White Globe String Lights are designed for decorative purposes, not as a main light source. Depending on how much other light is entering the tent, these may or may not be suitable for your needs. Do the lights automatically cycle through each of the 8 features or can you pick one feature to keep the lights on for the entire 6 hours? 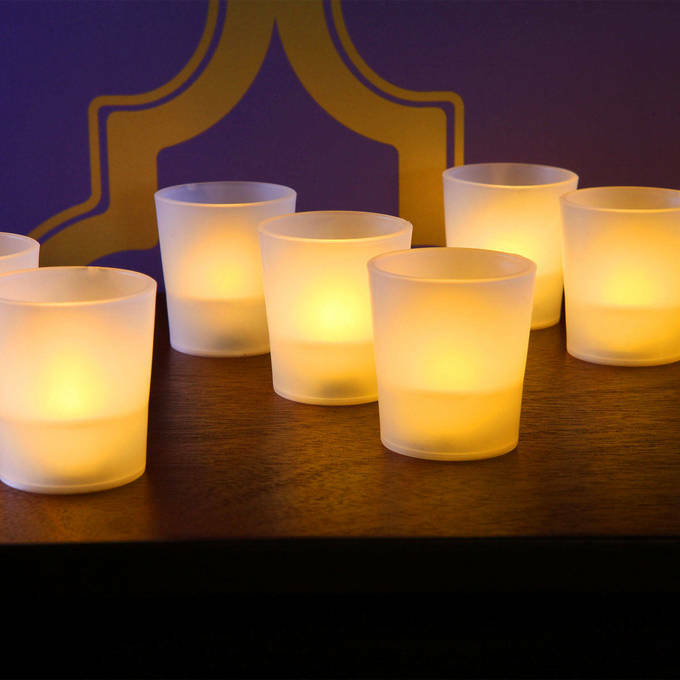 You can select one light sequence for the Frosted Warm White Globe String Lights for the entire 6 hours. Your preferred light sequence is selected manually using a button on the battery box. 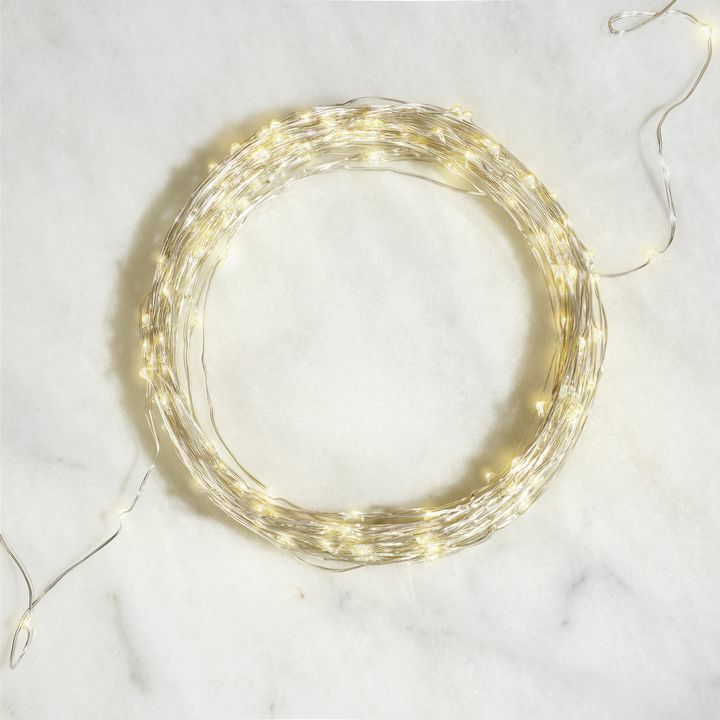 Can these lights be used with tulle touching the lights without a fire hazard? Also, we need the lights on for an 8 hour event. Is there any way we can turn them on again after the first 6 hour cycle is complete without removing the batteries? Yes, since the Frosted Warm White Globe String Lights use LEDs, there is no concern of them being a fire hazard even if covered with tulle. 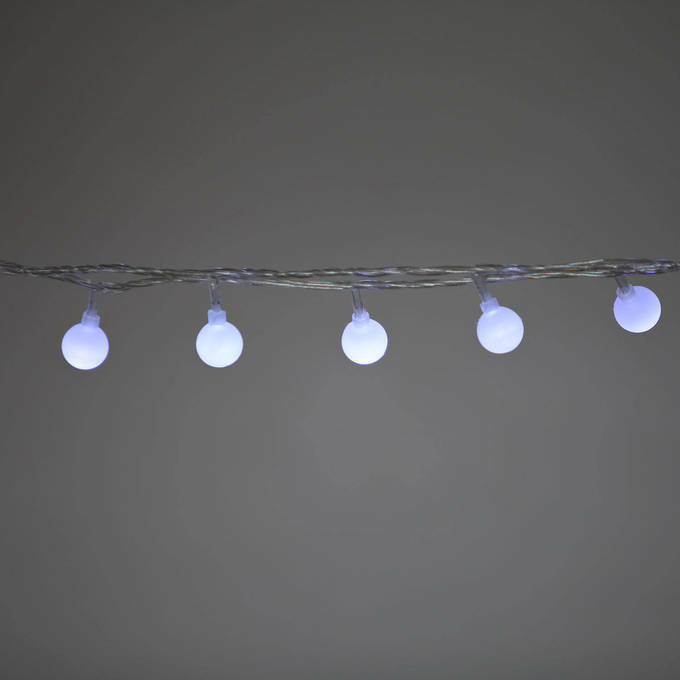 The Frosted Warm White Globe String Lights run on an automatic 6 hour timer function meaning they will have to be reset after 6 hours if you want the on cycle to start again. Can you control what 6 hours on and 18 hours are off? For instance can the timer be set up for on from 7:30p.m to 1:30a.m ? Thanks for your question. 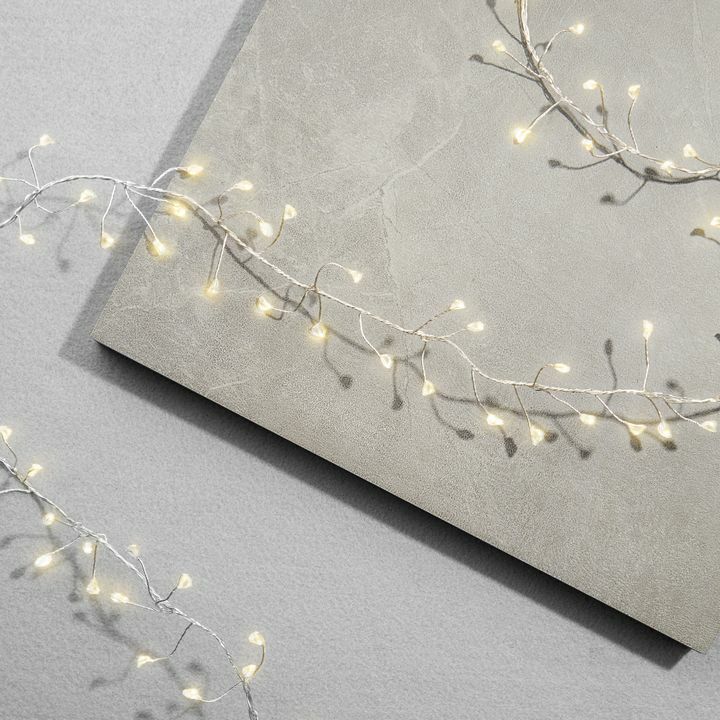 Yes, you can control what hours the Frosted Warm White Globe String Lights stay on and off. The timer starts automatically as soon as the item is turned on. So to set the timer for ON between 7:30pm and 1:30am, you would need to turn the lights on at 7:30pm. The automatic cycling function ensures that the lights maintain the same 6 hours ON, 18 hours OFF cycle indefinitely. Hi! Are the bulbs replaceable and if one goes out will it still work? Thank you! 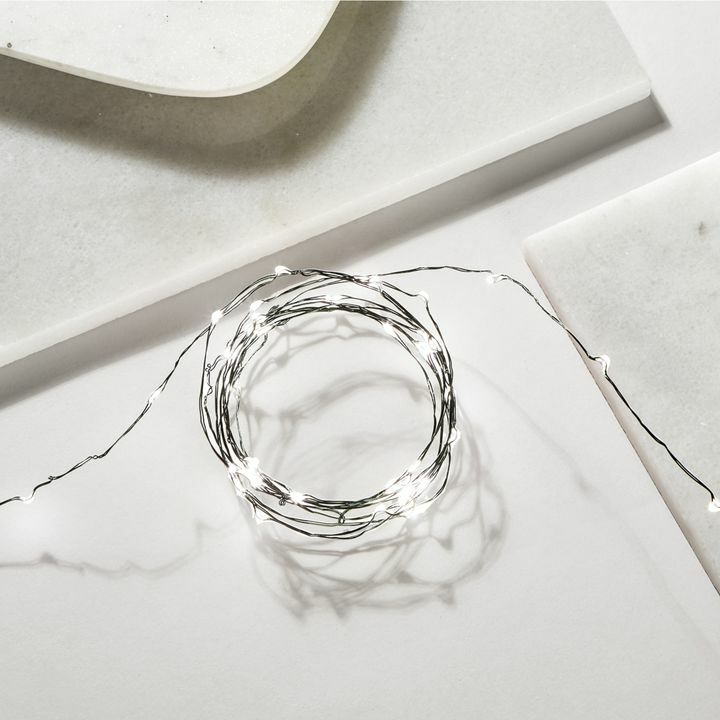 The Frosted Warm White Globe String Lights have LED lights, so you never need to replace the lights like traditional incandescent string lights. It would be very unusual, but if one does goes out, the rest of the string will be fine. How long do these bulbs last? Would they be good for long term in a dorm room? 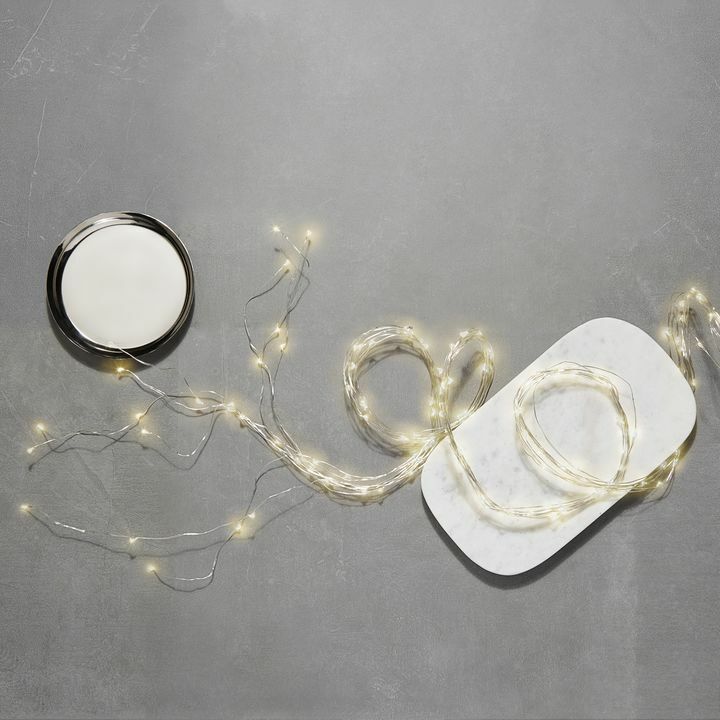 If not, what would be your best recommendation for long lasting battery string lights? They generally last up to a few years. They should be just fine for that setting. Just to clarify, is it possible to turn off the timer if I were to want continuous light ? No the timer starts automatically as soon as the item is turned on and cannot be overridden. 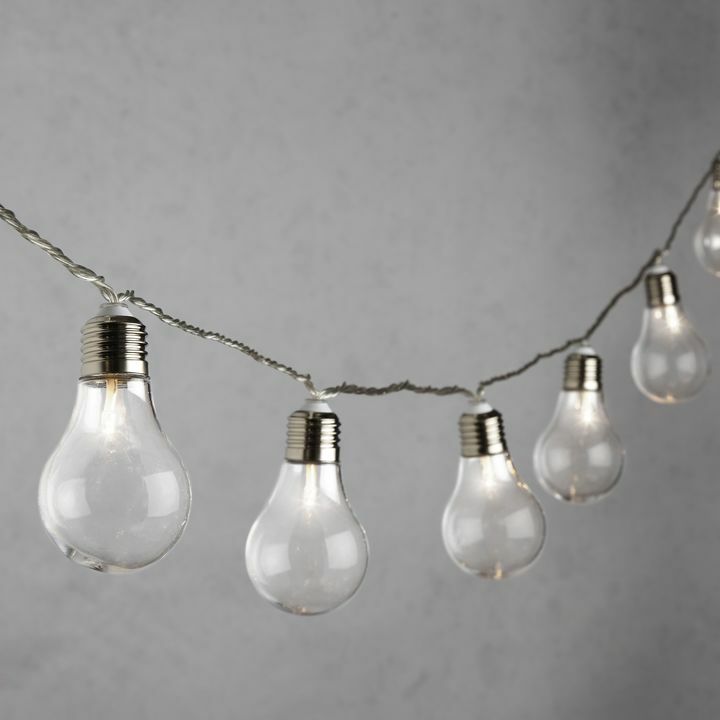 Can the bulbs be removed from the light strand? We do not recommend to remove the globe from the strand, in case of damaging to the wire. If one goes out does the whole strand go out? Where can you buy replacements? The bulbs aren't replaceable though the rest of the string will stay lit if one goes out. I just bought 6 sets of these and the first one i opened are blinking. I did not want them to blink. I see people saying there are settings, where can you find those? The same button you use to turn them on is the button that controls the functions. Is there a remote control available for this product? These string lights are not remote compatible. These are fine to leave outdoors. Do you think if I strung these on a patio umbrella it would provide enough light to eat dinner by? These look about the size of Christmas Tree lights. 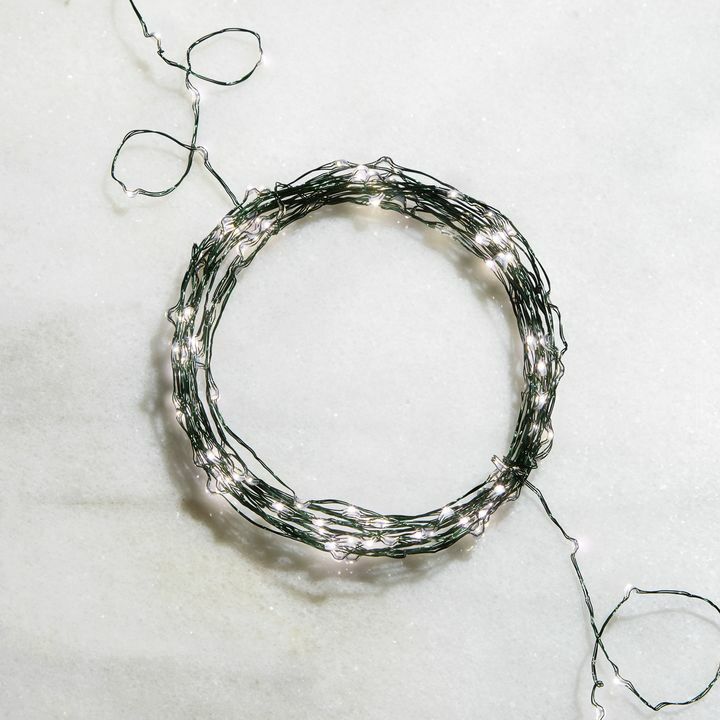 Are there any battery powered string lights that are larger? We do carry plenty of battery powered lights though I don't know that would be bright enough to dine under. NO those are glued on and they are .25" at the base. 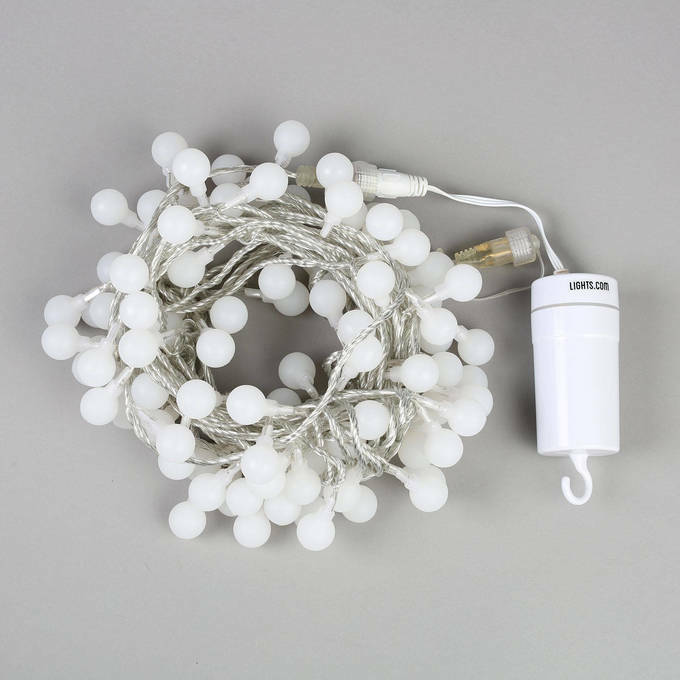 Frosted Warm White Globe String Lights with Timer, Strand of 100 (1) Manufacturer's Model: LC003357 This item says the battery box includes 8 light features. Could you explain that a little more, please? Sure those functions are all controlled by pressing the on button. The functions are: Combination, In Waves, Sequential, Slo-Glo, Chasing/Flash, Slow Fade, Twinkle/Flash, and Steady light. Can you please deliver to Australia?!?! I'm happy to pay!!! We typically do not ship internationally. If you have a third-party forwarder located in the U.S., we can ship to them. How do you attach these to a patio umbrella? Very carefully. Tape maybe. We aren't exactly sure. How big are the actual globes? Are they smaller than .75"? These are exactly .75 of an inch.